What Schools Could Use Instead Of Standardized Tests : NPR Ed A bill is being drafted that would end annual testing requirements. What would schools do without them? Discussions about cutting back on these requirements comes at a time of growing concern about the number of tests kids take and the time they spend taking them. Parents in some communities have formed "opt out" groups and removed their children not only from federally mandated tests but also the legions of state- and district-required tests that have followed. The Council of Chief State School Officers and the country's largest school districts have spoken out in favor of reducing the number of standardized tests students take. The national teachers unions and other traditionally Democratic groups are on board with the idea too. Education Secretary Arne Duncan says he is concerned about testing too, but he has written he "strongly believes" in annual tests as an educational tool. Missing from this debate, however, is a sense of what could replace annual tests. What would the nation do to monitor learning and ensure equity and accountability if states didn't have to test every child every year? Here are four possible answers. They're not necessarily mutually exclusive. In fact, they could all happen at the same time, as different states and districts make different decisions. 1) Sampling. A simple approach. The same tests, just fewer of 'em. Accountability could be achieved at the district level by administering traditional standardized tests to a statistically representative sampling of students, rather than to every student every year. That's how the "Nation's Report Card" works. Formally known as the National Assessment of Educational Progress, or NAEP, it's one of the longest-running and most trusted tests in the U.S. education arsenal, even though it's not attached to high stakes. It's given to a different sample of students each year, in grades 4, 8 and 12. The widely respected international test PISA is given to a sample of students too. 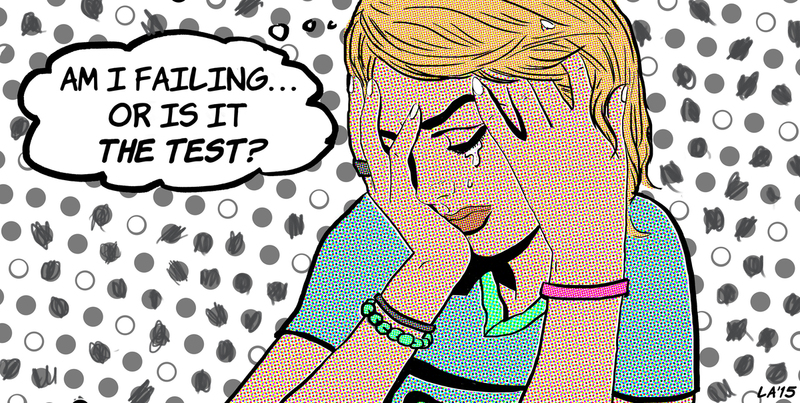 The companies that develop this software argue that it presents the opportunity to eliminate the time, cost and anxiety of "stop and test" in favor of passively collecting data on students' knowledge over a semester, year or entire school career. Valerie Shute, a professor at Florida State University and former principal research scientist at ETS, coined the term "stealth assessment" to describe this approach. Stealth assessment doesn't just show which skills a student has mastered at a given moment. The pattern of answers potentially offers insights into how quickly students learn, how diligent they are and other big-picture factors. "Invisible, integrated assessment, to me, is the future," Kimberly O'Malley, the senior vice president of school research at Pearson Education, told me. "We can monitor students' learning day to day in a digital scenario. Ultimately, if we're successful, the need for, and the activity of, stopping and testing will go away in many cases." Statewide longitudinal data systems now track students in most states from pre-K all the way through high school (and in some states, college). That means accountability measures and interventions don't have to depend on the outcome of just one test. They could take a big-data approach, combining information from a number of different sources — graduation rates, discipline outcomes, demographic information, teacher-created assessments and, eventually, workforce outcomes. This information, in turn, could be used to gauge the performance of students, schools and teachers over time. 3a) Social and emotional skills surveys. Research shows that at least half of long-term chances of success are determined by nonacademic qualities like grit, perseverance and curiosity. As states expand access to pre-K, they are including social and emotional measures in their definitions of "high quality" preschool. As one component of a multiple-measures system, all schools could be held accountable for cultivating this half of the picture. "Engagement" is basically a measure of how excited students are to be in the building. Last year, 875,000 students took the Gallup poll nationwide, in grades 5-12. According to one study, student hope scores on this poll do a better job of predicting college persistence and GPA than do high school GPA, SATs or ACT scores. Video-game-like assessments, such as those created by GlassLab and the AAA lab at Stanford, are designed to get at higher-order thinking skills. These games are designed to test things like systems thinking or the ability to take feedback — measures that traditional tests don't get at. Of course, they are still in their infancy. Scotland is a place where you can see many of the approaches above in action. Unlike the rest of the U.K., it has no specifically government-mandated school tests. Schools do administer a sampling survey of math and literacy, and there is a series of high-school-exit/college-entrance exams that are high stakes for students. But national education policy emphasizes a wide range of approaches to assessment, including presentations, performances and reports. These are designed to measure higher-order skills like creativity, students' well-being and technological literacy as well as traditional academics. Schools and teachers have a lot of control over the methods of evaluation. 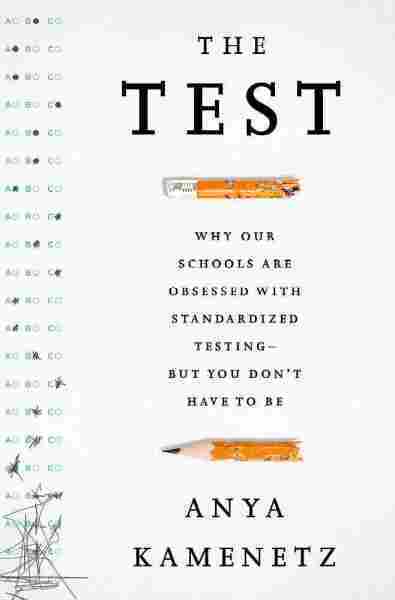 This piece is adapted in part from The Test: Why Our Schools Are Obsessed With Standardized Testing, But You Don't Have To Be (PublicAffairs, 2015).